Do you want to improve your job prospects or take a different path in your career? Study a postgraduate course at London Met. The University’s taught and research degrees are designed to enhance your skill set, giving you higher earning potential and greater expertise in your industry. To ensure you’re prepared for student life and beyond, London Met provides advice on funding, accommodation and careers. The University understands that postgraduate study is a big commitment, which is why they support you from your first enquiry right through to your first job or promotion. The University provides some of the best facilities, including the world’s largest interactive digital whiteboard installation. The Nureva Wallspan is a 20-metre long projection screen, allowing you to collaborate and develop ideas on a digital canvas. A £30 million Science Centre, TV studio, mock courtroom, Bloomberg terminal, recording studio and specialist art and design workshops are just a few of the facilities available. London Met is a vibrant and socially diverse community that welcomes everyone regardless of age or background. If you’d like to visit the University there are a number of open events available throughout the year. London Met’s business and legal courses are relevant to the industry, equipping you with the knowledge to accelerate your career. You’ll be fully equipped to work within finance and legal institutions, London Met also welcomes individuals who want to build a career in the world of the creative industries. Home to some of the best academics in the field, the School of Computing and Digital Media has many courses that lead to professional accreditation and/or certification with relevant bodies. London Met can boost your employability though student enterprise workshops, ensuring you have experience of the real-working world before you graduate. 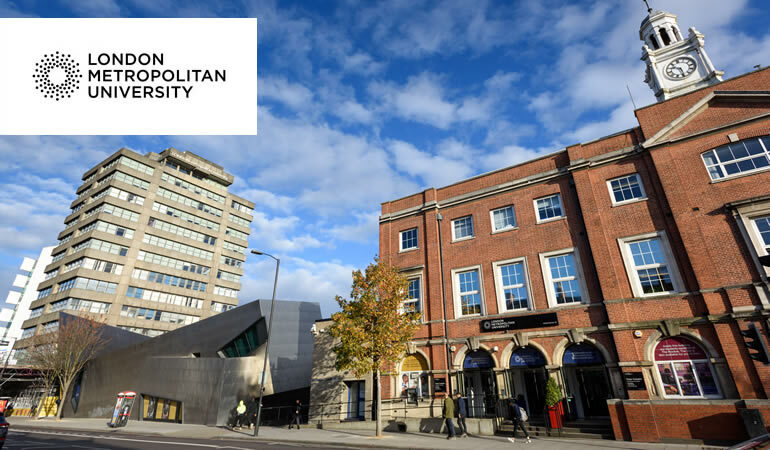 London Met’s School of Human Sciences offers courses in subjects such as applied biology, biomedical sciences, chemical and pharmaceutical sciences, nutrition and dietetics, and sports science and therapy. You’ll have access to specialist facilities, as well as support from experienced and enthusiastic academics. The School of Social Professions integrates theory and practice, leading to vast career-building opportunities. London Met maintains strong relationships with partner institutions and professional bodies as well as excellent associations with the private and public sectors. Many of these courses are accredited by professional bodies. The School of Social Sciences is home to a vibrant academic community encompassing criminology, policing, sociology, psychology, politics and international relations. The teaching and research of this School contributes to public debate on important issues. Many programmes have professional accreditation. The Sir John Cass School of Art, Architecture and Design (The Cass) is internationally recognised for its high-quality teaching, excellent facilities and unique interdisciplinary opportunities. Learning through practice and working with clients, you’ll gain experience engaging with professionals, communities and companies.